"What the hell was Bonucci doing?!" "Bonucci was just ball watching when Genoa scored SMH [shake my head for those not done with the kids]." Following a momentary lapse in concentration on Saturday that would - for the first time this season - cost Juventus ​two points, Juventini lambasted Leonardo Bonucci. Video footage of the centre back (supposedly) being at fault for five of the six goals La Vecchia Signora have conceded so far this season did the rounds, as did an exorbitant amount of "?!" and "FFS". Juve fans had been waiting, some self-deprecatingly longing, for Bonucci to underperform, because in truth, large sections of the Juventus faithful haven't quite forgiven him for leaving the club 12 months ago. Under a cloud of rumours surrounding a massive dressing room dispute - which Bonucci was reported to have been at the heart of - during the 2017 UEFA Champions League final, the 31-year-old left Juve in favour of bitter rivals ​AC Milan. And to add salt to that wound, he then celebrated a goal against his former club at the Allianz Stadium as if he'd just won the World Cup...poor form. Since that short layover at I Rossoneri, and despite admittance that it was the move was a mistake made "in a moment of anger", La Vecchia Signora fans haven't really re-warmed to Bonucci. Although recent errors against Chievo Verona and Genoa haven't exactly helped with de-thawing process, on Tuesday night, the centre back may have gone some way to healing the wounds he caused. 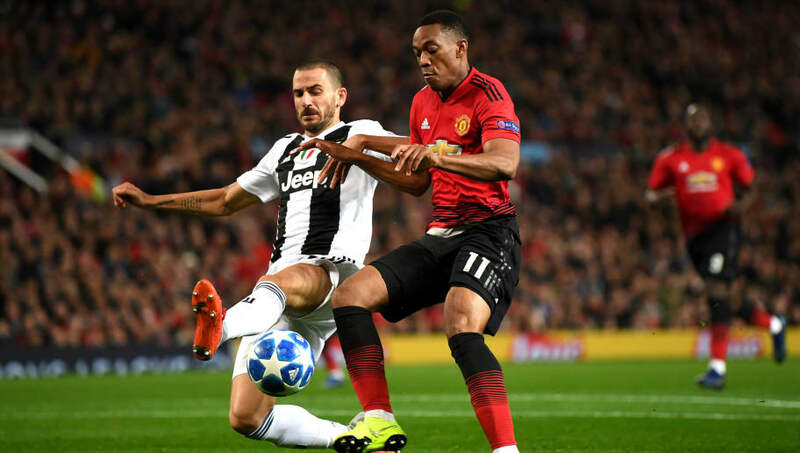 At Old Trafford in a crucial UEFA Champions League encounter with fellow European giants ​Manchester United, and at a time when Juventus needed Leonardo Bonucci to perform, he did just that. He was, in many respects, imperious. Alongside Giorgio Chiellini, the centre back snuffed out any semblance of an offensive threat Man Utd - albeit sporadically - offered. Coupled with the aversion of danger, Bonucci also proved to be the fulcrum of many an attack mounted by ​Juventus. Spraying the ball effortlessly from right to left. Confidently stepping out of defence with the ball. Randomly popping up in the right channel during a number of Juve's most promising attacks. Bonucci was, well, Bonucci. He was a leader. He was the player Juventini loved just 18 short months ago. It's explicitly clear that the Italian international will need another 100 odd performances just like this one to win La Vecchia Signora's affection once again; but Tuesday night was undoubtedly a start.